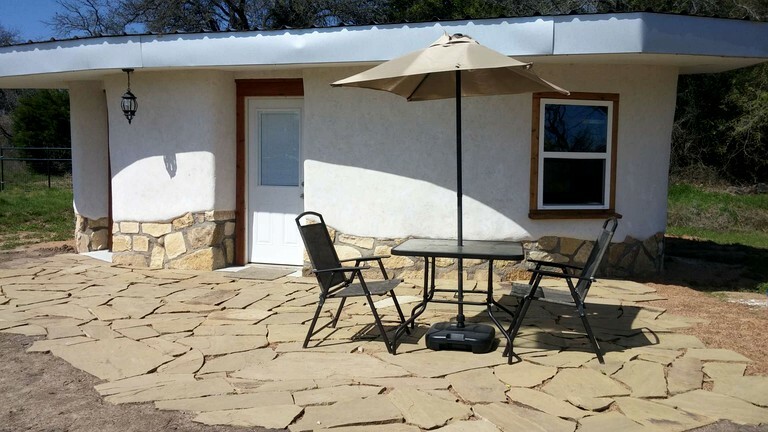 Couples will love this welcoming casita rental that can be found in a secluded setting near Stephenville, Texas. 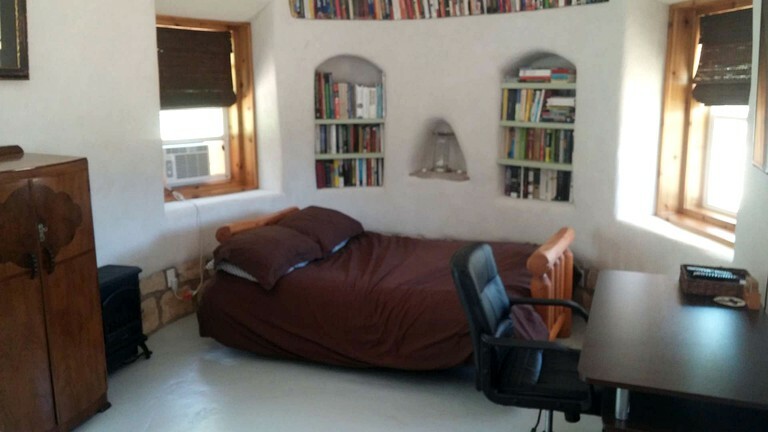 The casita is ideal for a romantic vacation as there is space to sleep two guests in the full-size bed. The casita also offers a full bathroom with plenty of privacy. The open layout of the rental ensures that couples will be able to make the most of their time together. There are many books for enjoying some evening entertainment and also plenty of comfy seating for relaxing. Glampers will also find a desk in the casita if they need to be productive during their stay. Glampers will feel very cozy and welcome in this casita as it is beautifully furnished and equipped with everything needed to relax in style. The bed is dressed in comfy linens and there are towels provided to use in the bathroom. Plenty of seating can be found both inside and out for relaxing and enjoying meals and guests are welcome to gather around the fire pit in the evening while roasting marshmallows. 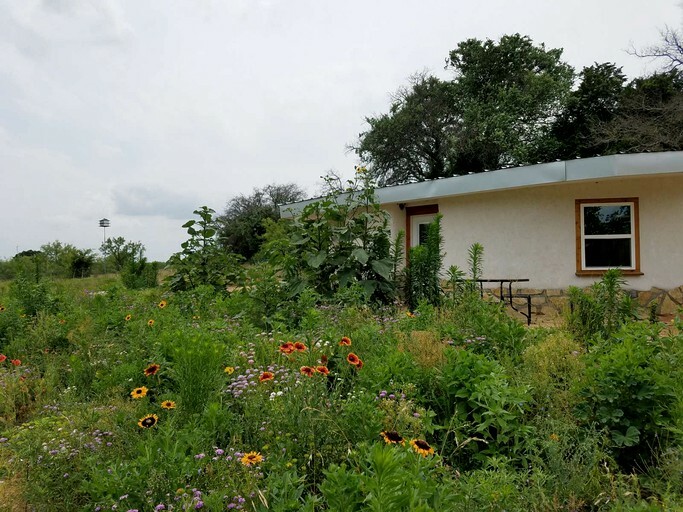 Glampers hoping to enjoy some peace and quiet during their next vacation will love the chance to head to the secluded setting of this charming casita in Bluff Dale, Texas. 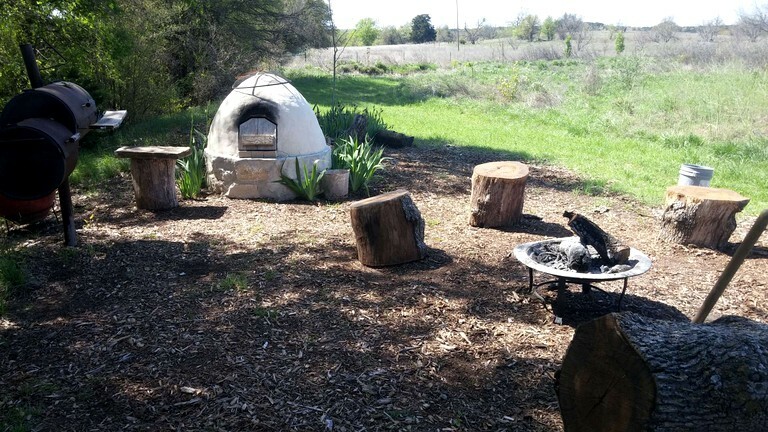 It can be found in the garden of a working ranch and eco-orchard, offering beautiful rural views that create a wonderful backdrop for glamping. Guests will be able to explore the 1000 acres of diverse land that surrounds the property and is home to scenic hills and streams. Thanks to the rural setting of this rental, guests will be able to spend plenty of time exploring the outdoors during their vacation in Texas. Hiking and cycling are great ways to get to know the area and to discover the unique local wildlife that calls this setting home. Guests will love the chance to paddle in the streams and to enjoy a picnic on the rolling hillsides. They can also visit one of the local stables and enjoy seeing the area on horseback. Squaw Creek Reservoir is an easy drive from the site and offers lovely hiking routes if guests are keen to enjoy some water views. They can also cool off in the lake during the summer months or enjoy fishing in one of the quiet spots on the shoreline. 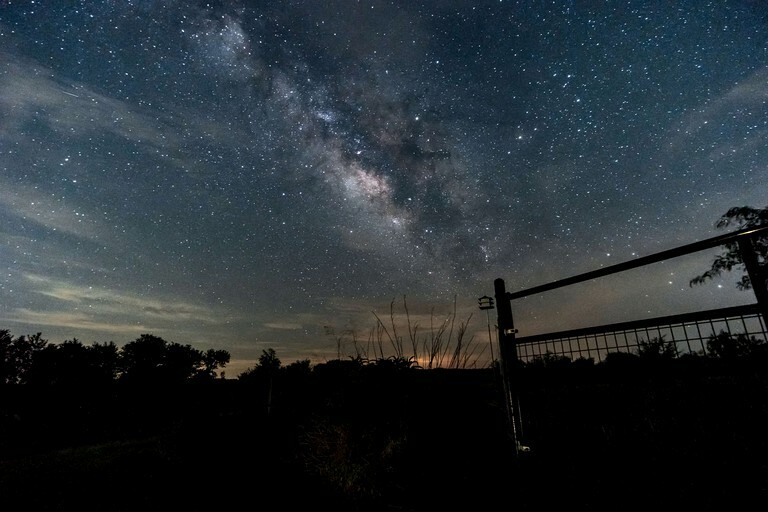 In nearby Stephenville, guests can get to know the locals at one of the many events that take place throughout the year or visit the boutique shops before refueling in one of the cafes or restaurants.